How to remind my clients to review their albums? 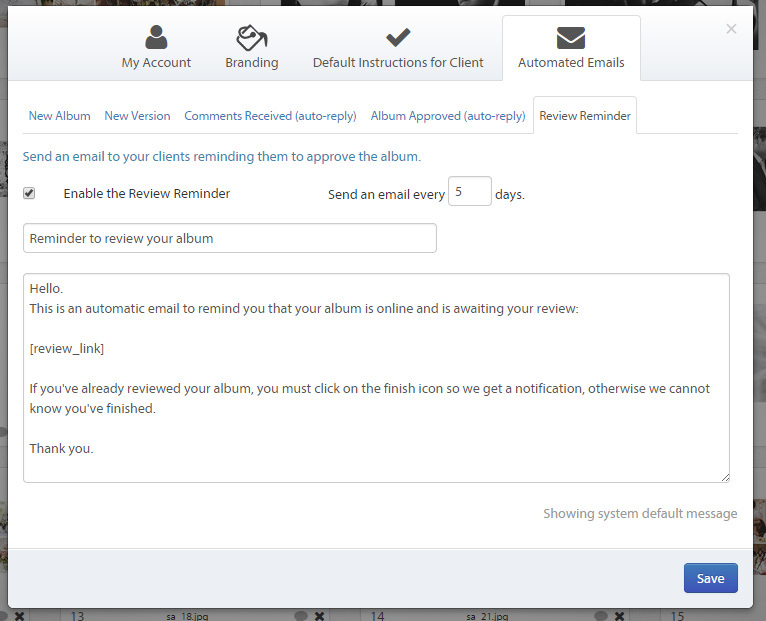 Albumdraft can automatically send an email to your clients reminding them to review and approve their albums. Enable the Review Reminder to encourage your clients to review their albums fast. Click on “Enable the Review Reminder”, then set the interval: Send an email every X days. Customize the email message and hit Save!